Brendan Clarke; Ger O'Brien, Sean Hoare, Darren Dennehy, Ian Birmingham; Lee Desmond, Graham Kelly (Michael Barker 75); Conan Byrne (Mark Timlin 75), Jamie McGrath, Billy Dennehy (Dinny Corcoran 81); Christy Fagan. Mark McNulty; Steven Beattie, Alan Bennett, Kenny Browne, Kevin O'Connor; Gearoid Morrissey (Gavan Holohan 21), Greg Bolger (Colin Healy 89); Karl Sheppard, Garry Buckley, Stephen Dooley; Sean Maguire. Maintaining his hot scoring streak, Sean Maguire hit two stunning goals to put Cork City into the Irish Daily Mail FAI Cup final as John Caulfield's Rebels simply had too much for St Patrick's Athletic in their semi-final at Richmond Park. Republic of Ireland under-21 striker Maguire, named man-of-the-match, has now scored 12 goals in his last nine games for City, and 24 for the season. Last year's beaten finalists Cork won't know until Tuesday night, when Derry City host holders Dundalk in their semi-final replay, who they'll meet in the final at the Aviva Stadium on 6 November. Liam Buckley's St Pat's can have no complaints as they were outplayed on the day. 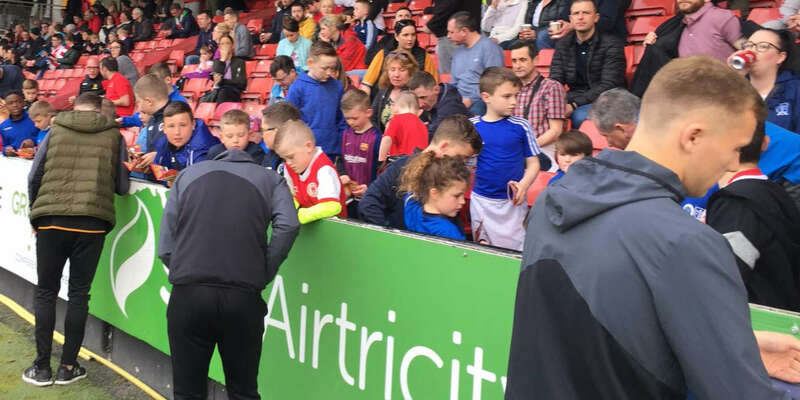 Given they languish in ninth place in the SSE Airtricity League Premier Division table, their season is all but over with qualification for Europe next year now unlikely. Though St Pat's pressed Cork from the start, forcing two corners inside the opening few minutes, it was Cork who had the first real chance on seven minutes. Karl Sheppard got a downward header to Stephen Dooley's corner to force a save with his feet from Brendan Clarke before St Pat's scrambled the ball clear. Despite having to replace injured midfielder Geared Morrissey, Cork deservedly took the lead on 24 minutes from their second corner of the game. This time it was left-back Kevin O'Connor who floated the ball over for Alan Bennett, who cleverly got in front of Clarke, to power a near-post header to the back of the net. 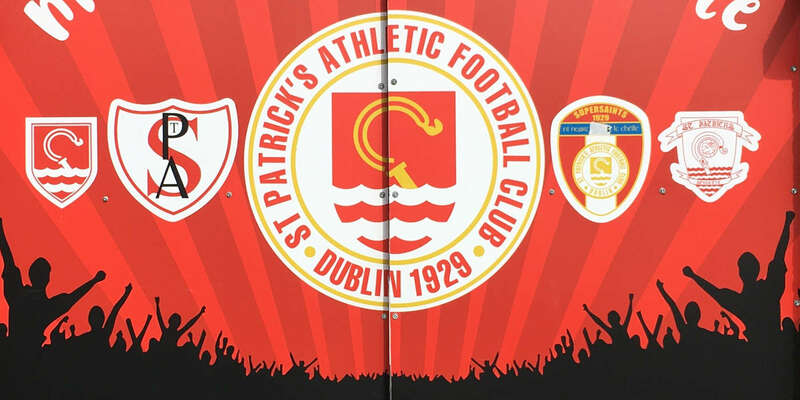 St Pat's gradually built a response with central defender Sean Hoare looping a header from Billy Dennehy's free kick onto the bar and over just past the half hour. And they were level on 39 minutes. The impressive Ian Bermingham got into the box on the left to dink over the cross for Christy Fagan to score with a powerful header. 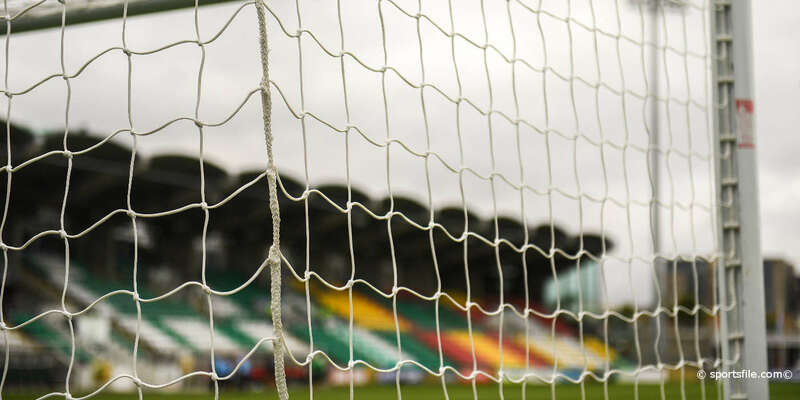 Hoare came close to putting St Pat's ahead in first-half stoppage time, but sliced his shot over the bar as Cork failed to deal with a Billy Dennehy corner. As they did in the first half, Cork settled the quick in the second and regained the lead five minutes in. Skipper Greg Bolger won the ball from Jamie McGrath to feed Beattie on the right. And his deep cross saw Maguire out-jump Saints' skipper Ger O'Brien to send his header to the corner of the net. Maguire then sealed Cork's win on 79 minutes when skipping past Darren Dennehy before sliding the ball beyond the advancing Clarke to the net.